For some people Beer Week is a constant string of drinking rare beers. With so many options, I don’t blame them, especially those who live close to the bars where most of the big events were held. Living a little further from the action, I limited myself a bit more but I still managed to have some fantastic beers. This year during beer week there were quite a few events where breweries brought out special sour beers. There were so many sour events that some people could have had nothing but sours for most of the week. Prime among these was Green Flash’s 12th Anniversary beer release, a lemon drop sour pale ale, which was debuted along with a number of versions of Little Freak and Super Freak, sour versions of the popular beers. Thankfully along with all these sours Green Flash had a delicious barrel aged barley wine so that those who aren’t as into sours could enjoy something special. Green Flash Barrel Aged Barleywine. Another big thing that comes out each year along with the sours is the barrel aged beers and the multiple flavors of big name stouts and porters. 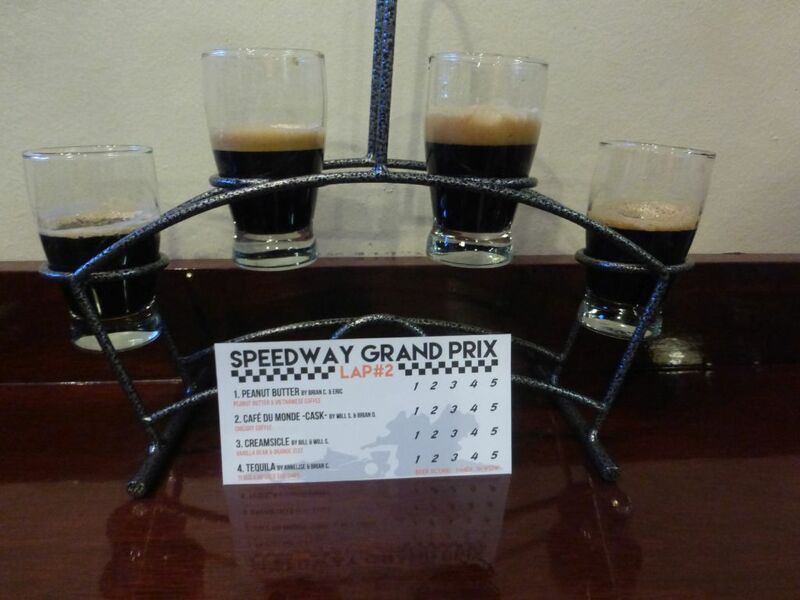 Alesmith has released multiple flavors of Speedway Stout for a number of years and this year they split it into 3 different days with 12 varieties to taste in three separate flights of 4 2oz tasters. 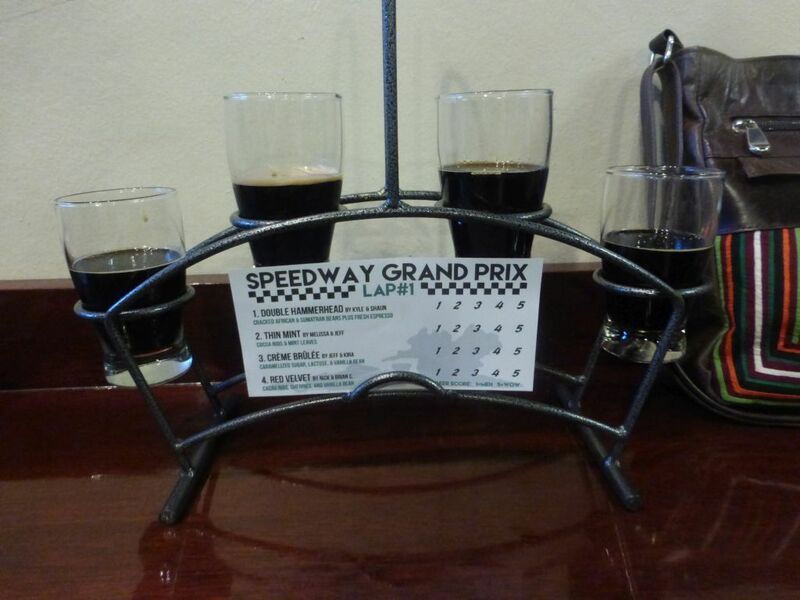 Alesmith also brought out a few bottles of barrel aged Speedway Stout to sell and tapped a bourbon barrel aged Vietnamese Coffee Speedway Stout at the tasting room. Ballast Point released a similar set of flavored versions of their Victory at Sea Imperial Porter at a few different bars around town. O’Brien’s pub hosted a barrel aged beer day as well, bringing out a number of delicious beers to taste. Many of the big bars around town hosted tap take-overs, where breweries from around town were featured on tap including beers you don’t regularly see from Alpine Brewing. Some of these take-overs focused on beers from breweries in other parts of California such as the much sought-after beers from Russian River. 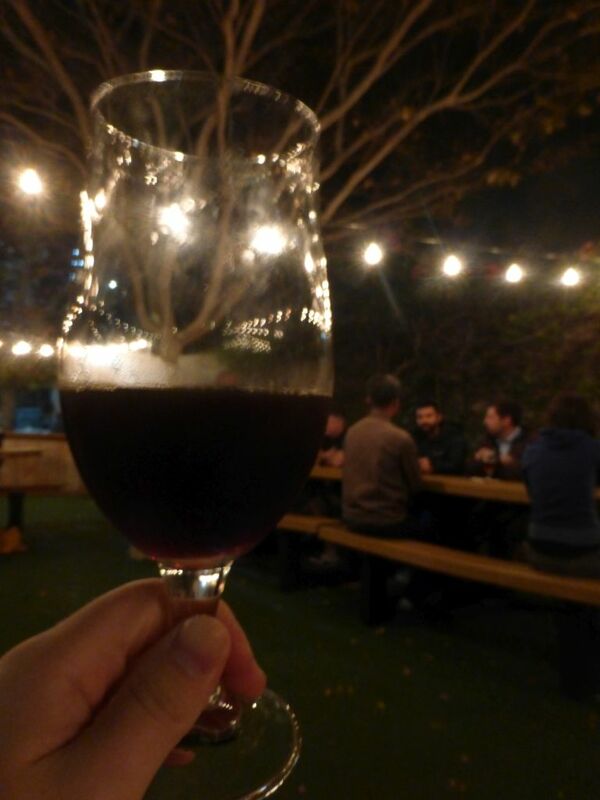 Another way to try some rare beers is a bottle share and there was a big bottle share event called The World’s Biggest Bottle Share held in North Park on Sunday November 9th. Plenty of rare beers were shared along the route with shuttles taking people between the different bars. Other breweries released some new bottles of beer for the first time. Council Brewing released their second bottle, an oak-aged Belgian Tripel, with the opportunity to taste the beer on tap at the brewery on the first day it was out. I am a fan of their Tripel generally and liked what I tasted on tap. I am looking forward to trying my bottle in a few weeks. There were so many events going on that I wasn’t able to try them all. If you had a favorite beer week experience that I left out, let me know in the comments. O’Sullivan Brothers is the second new brewery I’ve visited recently that started with everything they need right off the bat and a clear vision in place of where they want to go. 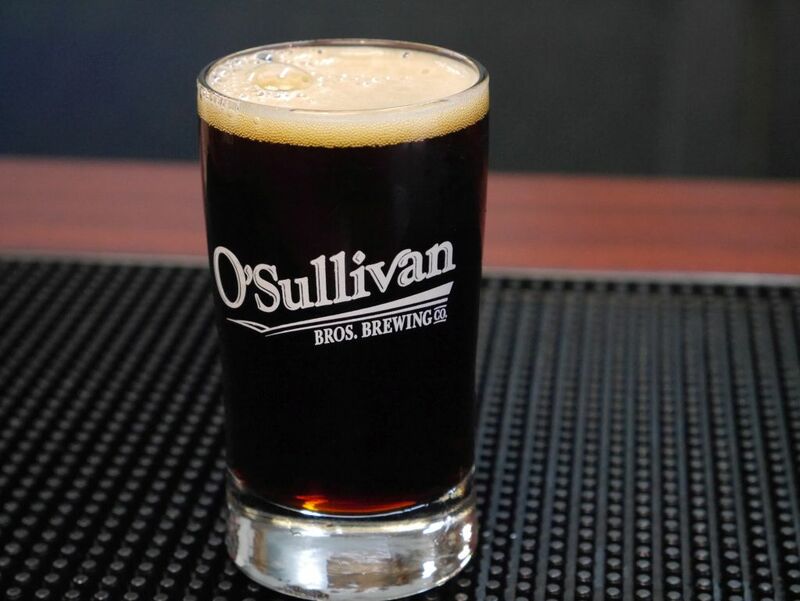 Started by five Irish brothers who wanted to re-create the beer styles they love, O’Sullivan Brothers focuses on porters and stouts but they also brew a solid brown ale, pale ale, and amber. 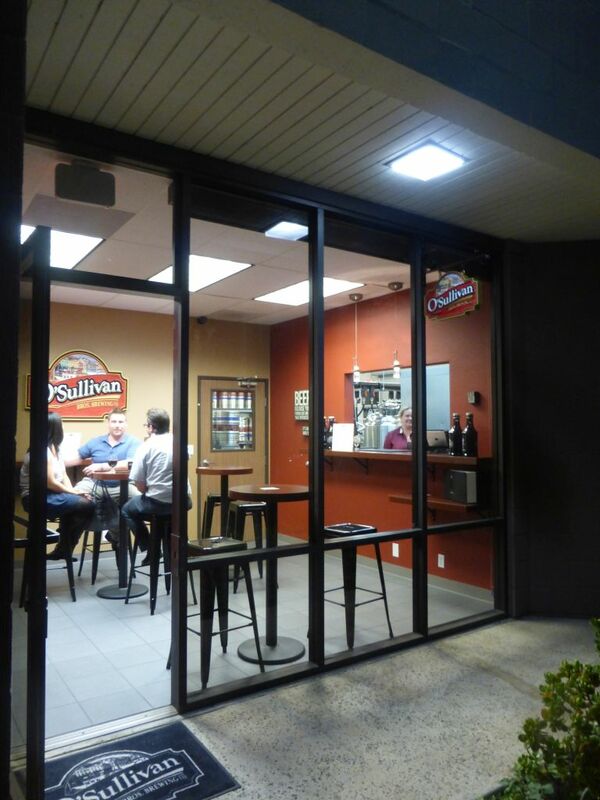 This is one of the smaller tasting rooms in San Diego. The front area is especially small and has two tables with a little bar space. There is some more seating past the bar into the brewing area but when I visited it was quite hot back there. The air conditioning is all in the front space. Still, I was glad to see that they started things out with six beers to try, a pale ale, amber, brown ale, porter, smoked porter, and stout. The Amber has a nice light hop kick that combines nicely with the malts to give it a good balanced flavor. The pale ale is similar to something like an Alesmith pale at 5.5% using mosaic hops to give it a light citrus kick. The bitterness here is not too intense either but it has some solid flavors. Both of these are as hoppy as you will get for now. Though they talked about possibly doing an IPA in the future to meet with local demand, that isn’t a priority. Thankfully, these two hit the right notes in that flavor profile. Taster flight. Front left to right, amber, pale, porter, brown ale. Back smoked porter, stout. 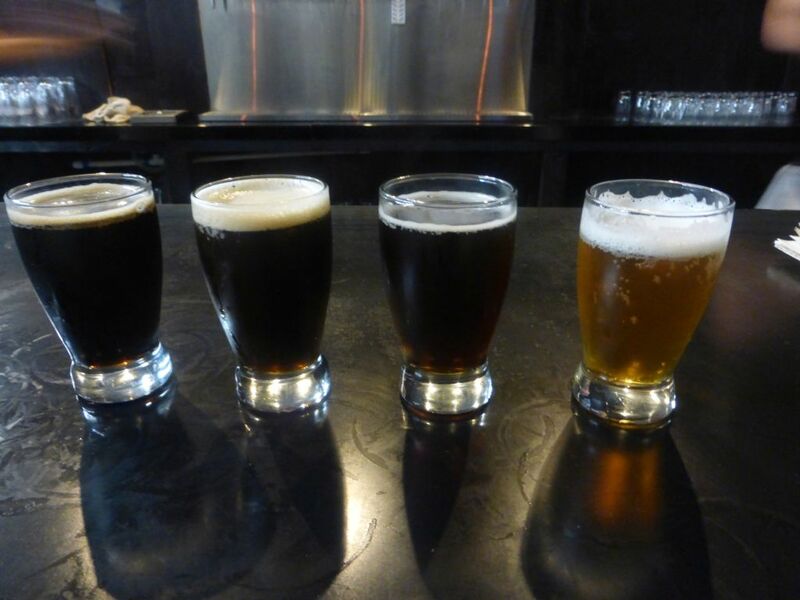 We had a bit of a mix up between the porter and brown ale when I got my taster flight. The server wasn’t sure if she might have mixed up the two and I had a difficult time telling the two apart. The nice thing about this is that both beers have a good roasted malt flavor. When I talked to one of the owners in the back he said they add a little bit of hops on the back of the brown ale to give it a little extra kick. The smoked porter was a little too much like drinking mesquite. This was one taster we didn’t finish. However, I heard a guy comment about just how much he loved this one before we left. So if you like smoked beers, give this one a shot. Finally, the sweet stout was the highlight of the place for me. Despite the name, this is not a sticky extra-sweet milk stout. There is just enough sweetness here to get you to notice it and the rest of the beer is full on delicious roasted flavors you expect from a good stout. Yes the tasting room is that small. I don’t normally do tours when I review breweries but I happened to go back on a tour here and was shown the great brewing setup that they have going at O’Sullivan Brothers. A computer system monitors most of the process and they have a quality control lab in the back. Besides all that, the guy I spoke to mentioned that they also make a point of trying to mimic the water from different parts of the world when brewing so that an English beer has English water. 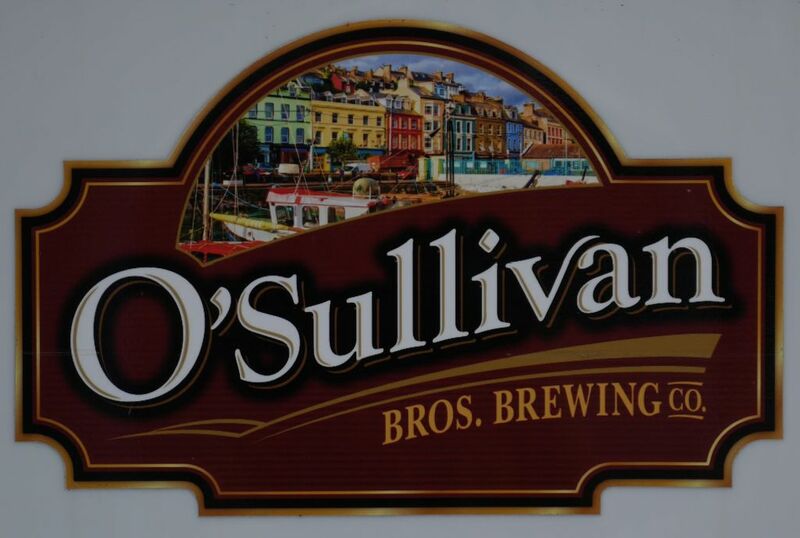 With a system that is a step above some of the new breweries with glorified home-brew setups and a clear vision I expect great things in the coming years from O’Sullivan Brothers. They also mentioned that their first Imperial Stout should be out in December. This won’t be a coffee or chocolate-forward imperial stout but just a good strong traditional imperial stout. I’m curious to see how this differentiates them from the trend of coffee and chocolate flavors in most San Diego imperial stouts. 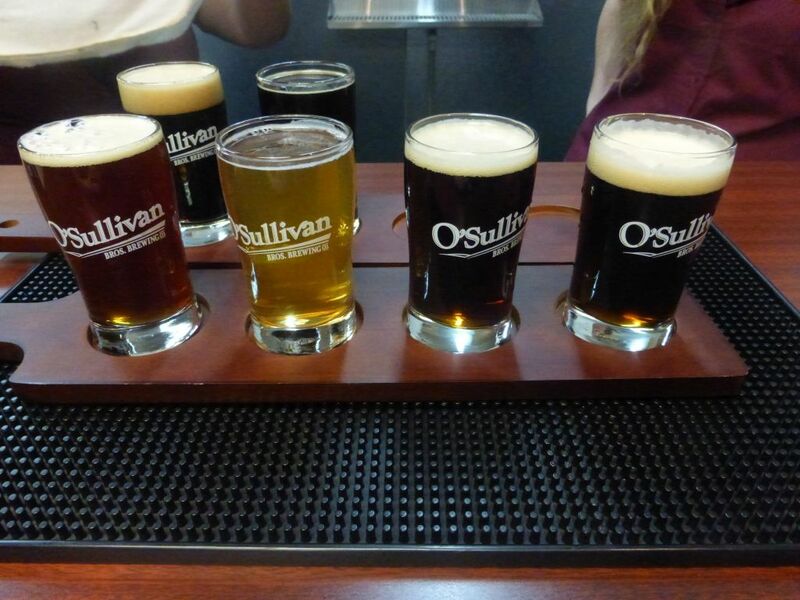 I came back to O’Sullivan Brothers in February of 2015 to try their newer stronger stout. They call it Old Shillelagh Triple Stout Porter. The beer is not as full bodied as you might get from something a little higher in alcohol but it has some delicious toffee flavors and roasted flavors that border on coffee. I really enjoyed this new offering and look forward to what they might have in the future. This post has been updated now to reflect some changes that took place in May of 2015. Update is at the bottom. The area around Alesmith, Green Flash, and the new Ballast Point is increasingly becoming crowded. 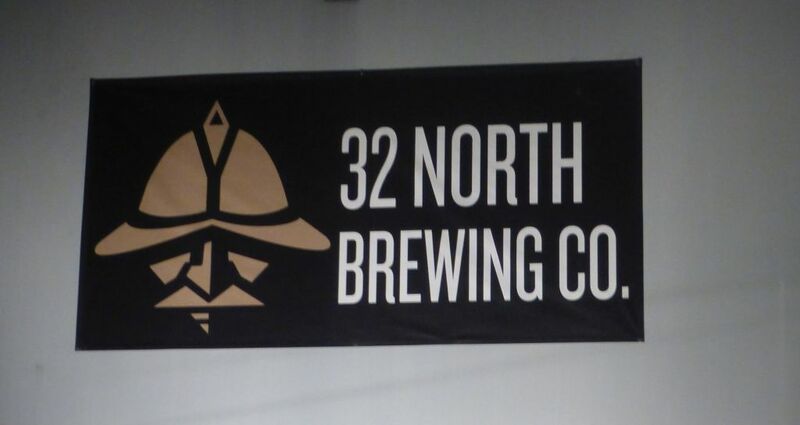 Recently added in that area is a new brewery called 32 North. 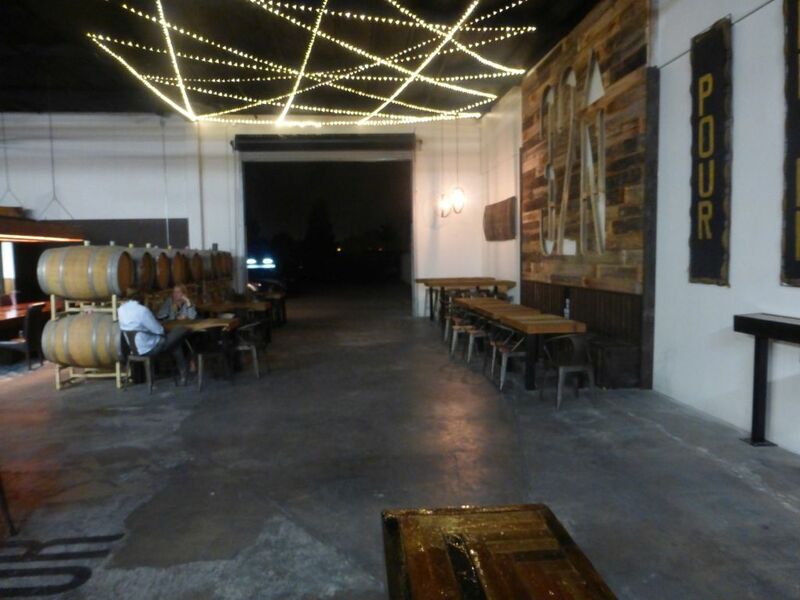 The owner partnered up with a brewer who previously brewed for Karl Strauss and White Labs and opened up with a nice-looking tasting room and a solid selection of beers to start. The Karl Strauss influence is especially noticeable in the peanut butter cup porter and imperial stout, both very similar to Karl Strauss’ offerings of the same style. One thing that sets this brewery apart from many of the places around the area is its operating hours. They are open every day from Noon to 10PM. For a while most breweries closed on Mondays and many also close on Tuesdays. Plus this is one of the few that remains open until 10PM. Also impressive is the lineup of beers to start. I didn’t get to try everything in my first visit but I came back the next day to try the other three. 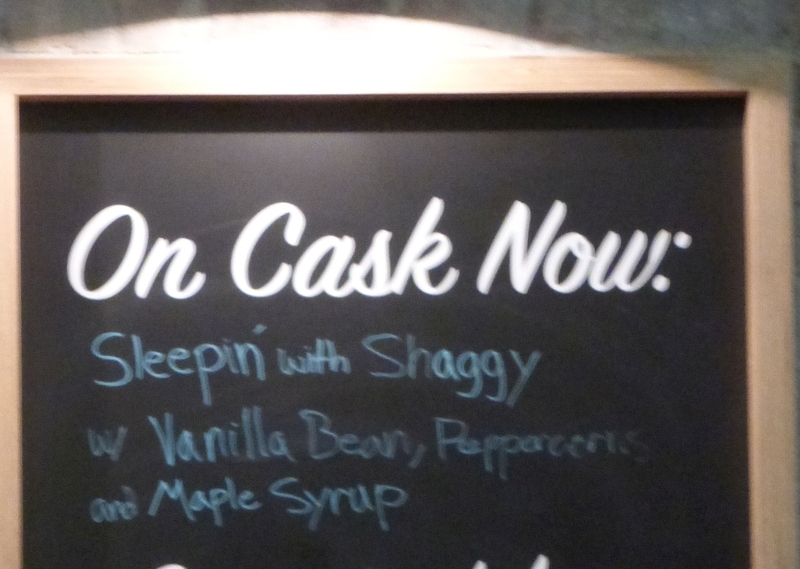 I always like to see a brewery that focuses on a few core beers. 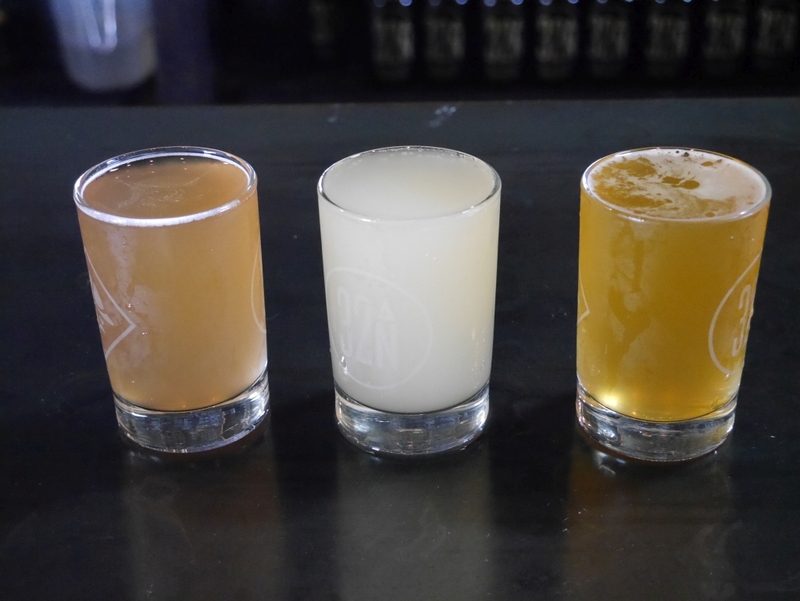 The four core beers are a 3.8% berliner weisse, a 5.5% pale ale, a strong 7.5% IPA, and a 6% coffee milk stout. 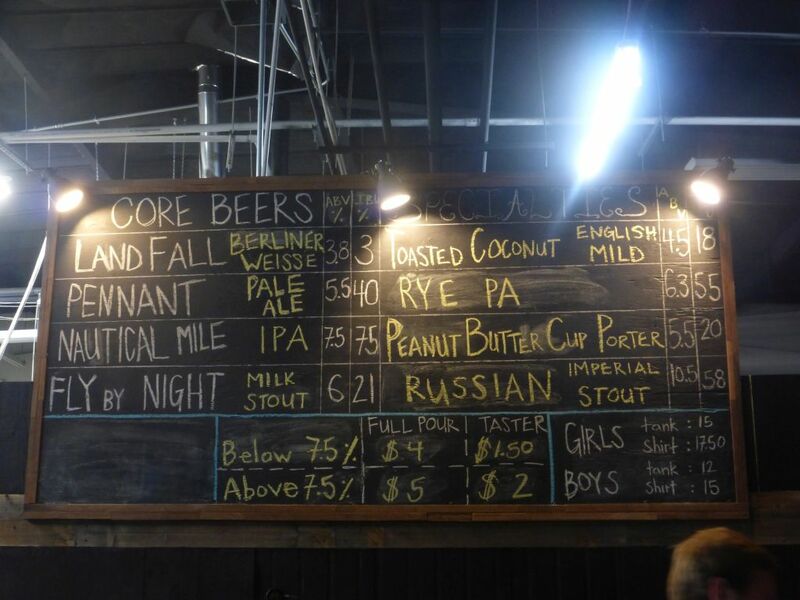 Also on tap when I visited on October 28, 2014 was a 4.5% toasted coconut English mild, 6.3% rye pale ale, a 5.5% peanut butter cup porter, and a 10.5% imperial stout. The berliner weisse is an interesting light-bodied beer that is quite tart. It really isn’t my thing but I was glad to see something from a wheat beer that is a bit different than the usual. Since there has been some mention of future sours in the works, I expect this would be the basis for those sours. The pale ale is quite tasty with a lot of peach and citrus flavors going on. It is lightly malty, which sets it apart from many of the malt bomb pale ales around. Left to right, Coconut Mild, Berliner Weisse, Pale Ale. The rye pale ale was a little strange tasting to me. It had plenty of the rye flavors but the hops used didn’t seem to mix properly, giving it a really herbal flavor. There is some room to tweak this one, maybe with a different type of hops. Especially when comparing this to something like Aurora from Modern Times there is a way to go. The IPA was solidly flavorful and bitter. It boasted plenty of tropical fruit and citrus and a powerful bitterness. This is a great start and a solid beer to have as a core. 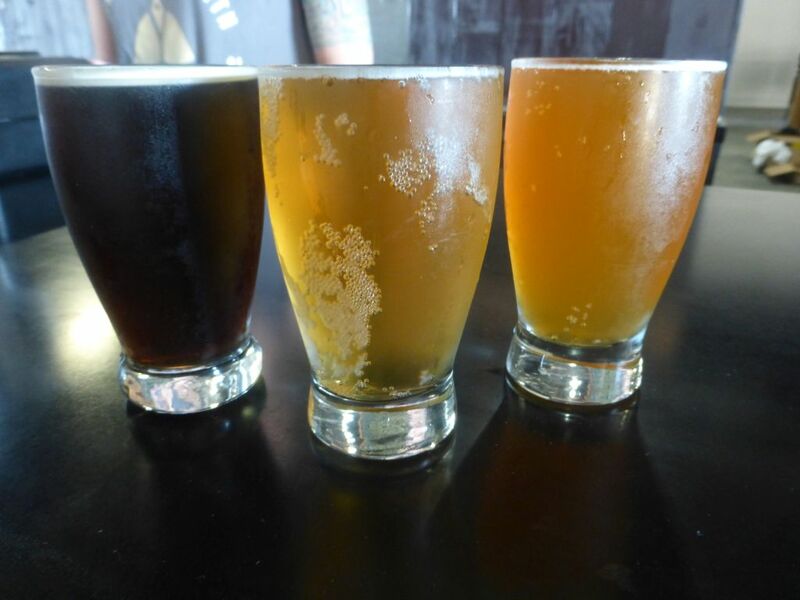 Left to right, imperial stout, peanut butter cup porter, rye pale, IPA. The peanut butter cup porter was very similar to the Karl Strauss one and had a good mix of nutty flavors and sweetness. The milk stout had some solid coffee flavors and a little more sweetness than I typically prefer but that is balanced by some roasted malt flavors. I would personally prefer a little more pronounced coffee but then I did try it after the imperial stout, mostly because I didn’t realize the milk stout had coffee in it until I chatted with the bartender. The toasted coconut mild was especially tasty on nitro. The mild underlying beer takes on the flavor of the coconut really nicely, giving it a strong lightly sweet coconut taste. The Imperial Stout is very similar to the fantastic Karl Strauss Imperial Stout sporting plenty of coffee and chocolate flavors. 32 North uses fresh roasted local coffee from Dark Horse Coffee Roasters in both the imperial stout and the milk stout, and it tastes great. With a spacious amount of seating inside and a good set of core beers, 32 North is off to a great start and seems poised for great things. The initial lineup seems to indicate a recognition of the demand in the local market where a solid IPA and solid imperial stout are both essential. I hadn’t visited 32 North in a while so I thought I would drop in to see how they are doing and I was surprised by the lack of core beers on tap and the number of sours available. I had dropped by previously to try some of their fruit flavored berliner weisse beers before but found that they were way too tart for me before. 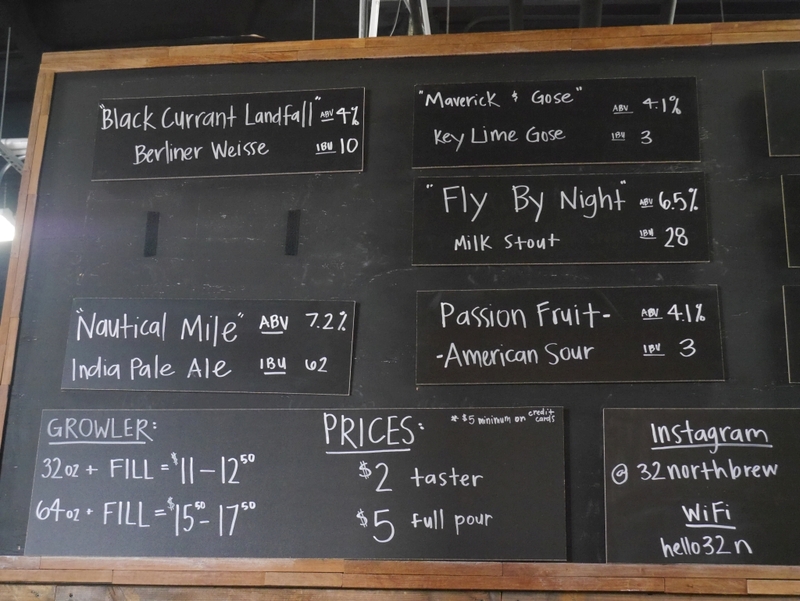 This time when I dropped in the tap list was pretty sparse but they had a Black Currant Berliner Weisse, a Passion Fruit American Sour, and a key lime gose. I got a taster of each of the three sours on tap to see how they were. I started with the Black Currant Landfall, which was my favorite of the three. It had a nice blend of sweet and sour with a bit of citrus tart flavor and sweeter berry. The Key Lime Gose was pretty much like drinking limeaid. It was interesting for sure but surprisingly not very tart and mildly sweet. Finally the passion fruit had a nice wild flavor going with a mild passion fruit flavor and very little tart going on. I think both the key lime and passion fruit could be a bit more tart while the black currant was the right balance. Left to right, blackcurrant, key lime, passion fruit. As for how regularly we will see the core beers around, it seems that they are doing smaller batches now and many of them don’t stay on very long. Hopefully these sours will continue to become a main thing for them because it is nice to have someone so close by doing sours.